A beautiful soul left us peacefully after suffering a brain aneurysm on Sept. 25. Kianna was born on May 6, 1995. She grew up in Hailey, Idaho, and moved to Salt Lake City in September 2013. 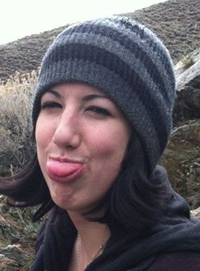 She had a love for the outdoors, her family and friends. Her smile could light up a room and she was always good for a laugh. Kianna loved to longboard from Hailey to Ketchum, always enjoying the beauty around her. Kianna married the love of her life, Mathew Lewis, on March 1, 2014. They were elated to learn they were expecting a baby boy, due in August. Although Kianna never got to meet her sweet baby, she will always remain a part of him. Kianna leaves behind her husband, Mathew, and 3-month-old son, Wesley. She is survived by her parents, Andy and Cindy Findley; brother, Keith Horne; father, Andrew Horne; mother-in-law, Cindy Lewis; father-in-law, Travis Lewis; and brother-in-law, Miles Lewis. She is also survived by grandparents, aunts, uncles and cousins. A celebration of life will be held at the AmericInn in Hailey on Saturday, Oct. 11, from 2-6 p.m. In lieu of flowers or gifts, please consider a donation to the MKW Family Fund at Pioneer Federal Credit Union.